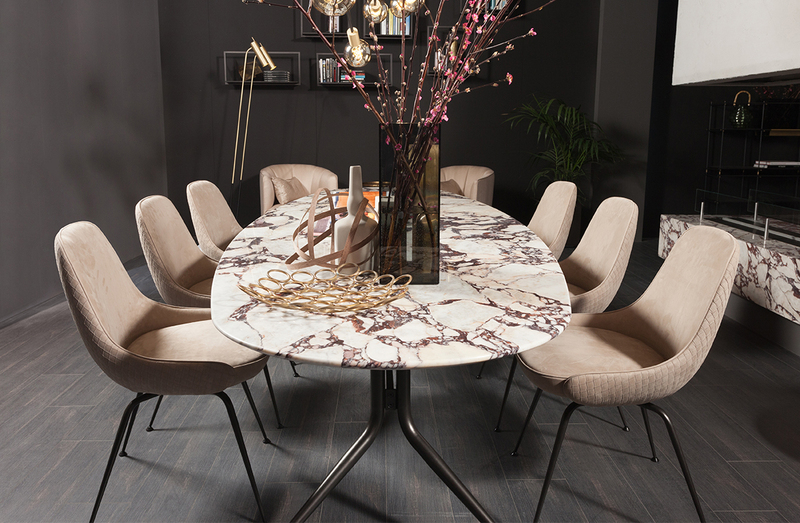 Dining table with base in burnished painted metal and brass detailing. Top surface in a choice of 6 marble options. Available to order in 3 sizes. Please see ADDITIONAL SPECS for sketches.